Senators Jeff Flake (R - Arizona), Mike Lee (R - Utah) and Cory Gardner (R - Colorado) have joined forces on the "Venue Equity and Non-Uniformity Elimination Act of 2016" to address where patent litigants can fairly file their claims. In an era of sharp partisan divide, the need for litigation reform is a rare issue on which almost all Americans outside of the plaintiff lawyer lobby agree. According to surveys, 89% of American voters consider lawsuit abuse a problem, and nearly 80% believe the country suffers an excess of lawsuits. One specific manifestation of litigation abuse is what's known as venue abuse, which refers to plaintiffs deliberately filing lawsuits in districts where no defendant resides, where no substantial portion of the events at the center of the lawsuit occurred and where no substantial portion of witnesses or evidence relevant to the case reside. Unfortunately, the problem of venue abuse is particularly prevalent in patent litigation cases. To starkly illustrate, since 2009 alone the total number of patent lawsuits in the United States has more than doubled from 2,500 to over 6,000 in 2014. And of that total, a preposterous 44% of new patent lawsuits last year were filed in a single federal court district, the Eastern District of Texas. Even more preposterously, one judge in that district - Rodney Gilstrap - oversees 900 cases and actually accounts for almost one-fifth of all patent lawsuits in the entire U.S. 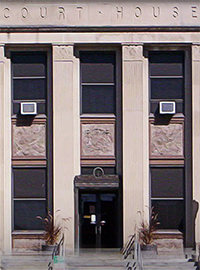 Plaintiffs' attorneys game the system by suing in the Eastern District of Texas for a variety of reasons, including its reluctance to allow transfer cases to more appropriate districts, its prevalence of high "jackpot jury" awards, its willingness to allow excessive document and witness discovery demands, its friendly verdict rate and its local court rules favorable to plaintiffs. The district is so notoriously welcoming that plaintiffs create artificial connections such as bogus offices and document warehouses for the sole reason of convincing judges to keep cases there. But the more fundamental problem is that current federal rules allow lawsuits to be filed almost anywhere. That defies the longstanding legal logic of venue, which seeks to ensure due process for all parties by placing lawsuits in districts where the acts in dispute occurred and where the parties, witnesses and evidence reside. Fortunately, proposed legislation in both houses of Congress offer the promise of reform. On the House side, the Innovation Act which passed by a bipartisan 325-91 vote in the last Congress. That bill includes venue reform provisions along with other critical changes like discovery limits, pleading clarity and shifting litigation costs and attorneys' fees to frivolous litigants. And on the other side of Capitol Hill, Senators Jeff Flake (R - Arizona), Mike Lee (R - Utah) and Cory Gardner (R - Colorado) have joined forces on the "Venue Equity and Non-Uniformity Elimination Act of 2016" to address where patent litigants can fairly file their claims. Meanwhile, in the judicial branch, the U.S. Court of Appeals for the Federal Circuit heard oral argument last week in In Re: T.C. Heartland LLC. That case raises the question of where patent litigants can properly file their claims, so it therefore offers the possibility of venue reform through court decision. More specifically, that case asks the court to effectively reinstate venue rules that prevailed for nearly a century prior to 1988. Those rules limited venue in patent lawsuits to districts where named defendants resided or where the alleged patent infringement occurred. "In conclusion, changes to venue rules would likely cause real changes to venue locations. Not all the cases would move to Delaware (as some might have expected), but a decent number likely would. Though some plaintiffs would be inconvenienced, there would be much more diversity in patent venues, with many districts seeing more cases than they have in some time, and a few districts seeing many fewer." Their study demonstrates that venue reform would mean real and necessary change. Unfortunately, the court's ultimate ruling remains uncertain and hopes for venue reform via the judicial branch are not assured. That is why Congress must act. This is an issue more properly resolved by the legislative branch than the judicial branch, to resolve the question and bring much-needed, common-sense reform. Due process and fairness demand that we put an end to venue abuse by patent litigants with greater certainty and speed.